Previous image, 27 total items. Next image, 27 total items. Explore the rugged landscape of the westernmost island province of the Philippines to experience fresh seafood, pristine beaches and subterranean geological wonders. Stretching west towards Malaysia in the Sulu Sea, Palawan is the largest of the Philippines’ island provinces. Despite its extensive size, Palawan province is one of the least populated areas in the country and is renowned for its untouched natural wilderness. Endless stretches of perfect beaches give way to mangroves, towering cliffs and mountains. The province is home to the Tubbataha Reef National Marine Park and Puerto Princesa Subterranean River, both recognised by UNESCO as significant sites, a testament to the region’s majestic beauty. Palawan province is known as the Philippines’ last ecological frontier and the area is ideal for travellers with a sense of adventure. The waters of Palawan’s many islands are teeming with big game fish and tropical species. Palawan is considered one of the world’s best diving and fishing locations, and these pastimes have become major industries on the main island of the province. 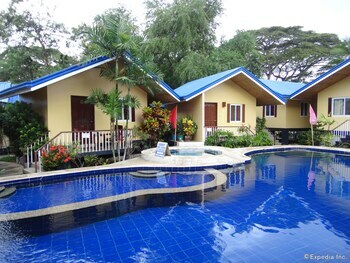 Dive courses and charters can be found in all major towns, including the capital city, Puerto Princesa. The tiny village of Sabang, 80 kilometres (50 miles) north of the capital, marks the entrance to the spectacular Puerto Princesa Underground River. Take a guided boat tour and marvel at the dramatic stalactite and stalagmite formations, and explore some of the world’s largest cave chambers. In the town of Quezon, visit the Tabon Caves, regarded as the cradle of Philippine civilisation. Fossilised human remains, jewellery and earthenware dating back almost 50,000 years have been discovered at this site. When it’s time to come up for air, try some of the island’s culinary specialties such as barbecued seafood and plump tropical fruits. 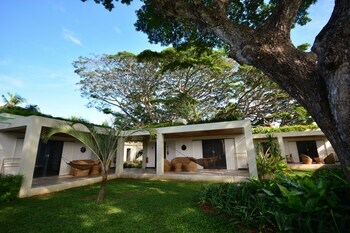 Larger resorts often feature a fine-dining restaurant, while street food and simple delicacies can be found everywhere. Palawan is well connected by international and domestic flights from major destinations in Southeast Asia, as well as inter-island ferry services within the Philippines. Once on the island, hail a jeepney or boat, or rent your own vehicle to begin your Palawan adventure. 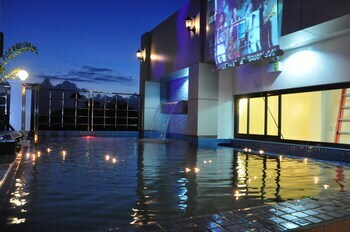 Situated near the beach, this hotel is within 1 mi (2 km) of El Nido Public Market and Corong Corong Beach. 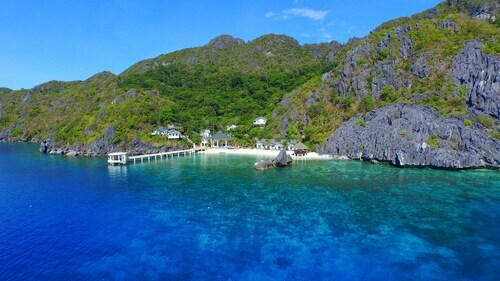 El Nido Main Beach and El Nido Dock are also within 2 mi (3 km). 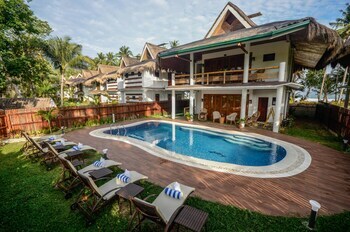 Offering direct access to the beach, this El Nido resort is within a 15-minute walk of Bacuit Bay and El Nido Main Beach. 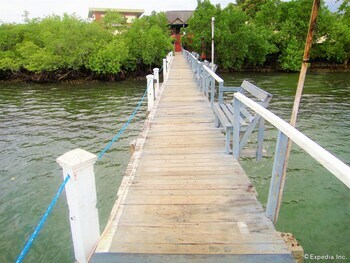 El Nido Dock is 1.1 mi (1.7 km) away. 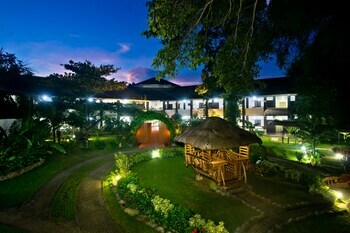 Set on the beach in El Nido, this resort is within the vicinity of Bacuit Bay, Caalan Beach, and El Nido Dock. 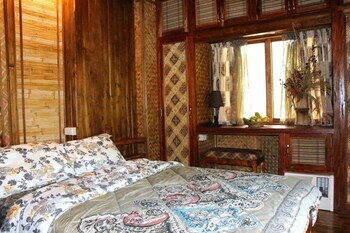 Area attractions also include El Nido Main Beach and Parish of St Francis of Assisi. 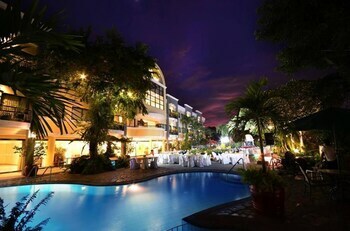 Located in Coron Town Proper, this hotel is 1.1 mi (1.7 km) from Iglesia ni Cristo and 2.9 mi (4.7 km) from Palawan State University - Coron. 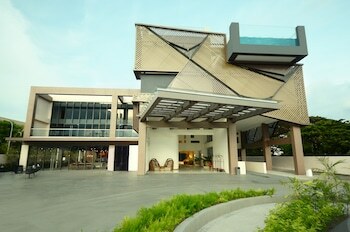 Coron Central Plaza and Bayside Plaza are also within 2 mi (3 km). 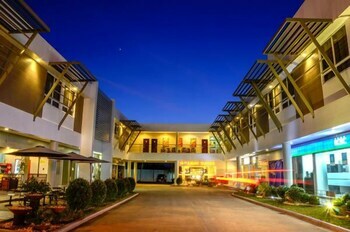 Located in Puerto Princesa City Centre, this spa resort is 0.9 mi (1.4 km) from Palawan Special Battalion WW2 Memorial Museum and within 3 mi (5 km) of Immaculate Conception Cathedral and NCCC Mall Palawan. Mendoza Park and SM City Puerto Princesa are also within 3 mi (5 km). 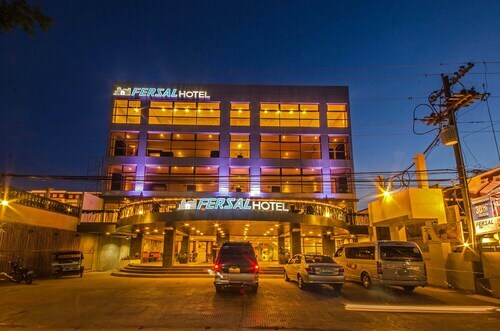 Located in Puerto Princesa City Centre, this hotel is within a 15-minute walk of Immaculate Conception Cathedral and Palawan Special Battalion WW2 Memorial Museum. 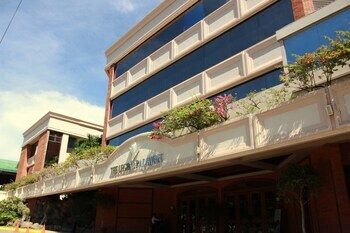 NCCC Mall Palawan and Mendoza Park are also within 2 mi (3 km). 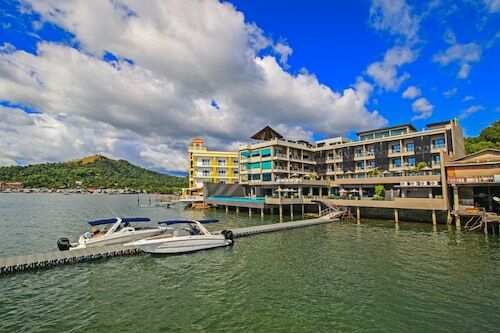 This El Nido resort is near the bay, nestled on a private white sand beach and within easy reach of area attractions such as Secret Lagoon, Miniloc Island Dock, and Miniloc Island Beach. Local attractions also include Payong-Payong Beach. 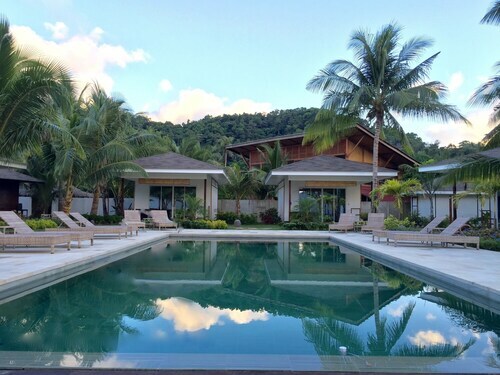 Nestled on the beach, this El Nido resort is within 2 mi (3 km) of El Nido Public Market, El Nido Municipal Hall, and Parish of St Francis of Assisi. 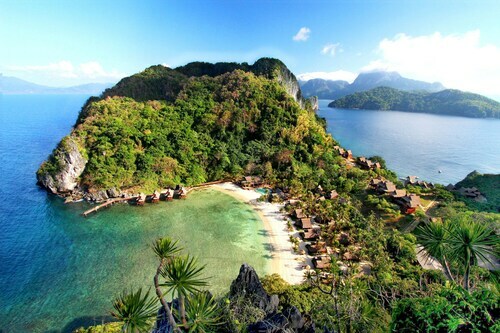 El Nido Main Beach and Bacuit Bay are also within 2 mi (3 km). Mon., 27 May - Sun., 2 Jun. Wed., 17 Jul. - Mon., 22 Jul. Wed., 3 Jul. - Fri., 19 Jul.